It was really safe, and the people there seem to care about you. It's in a good location. I liked the fact that they gave me a good price. They are inexpensive and safe. 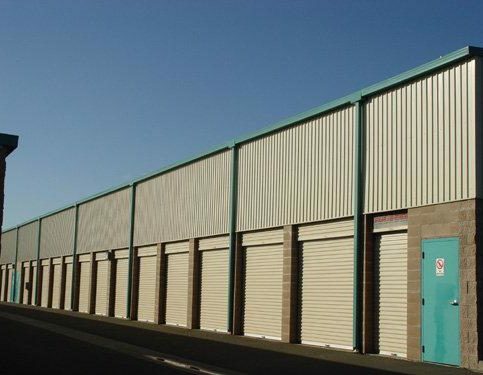 Storage Master Self Storage offers year-round access to thousands of storage units of various sizes at its Santa Rosa facility. 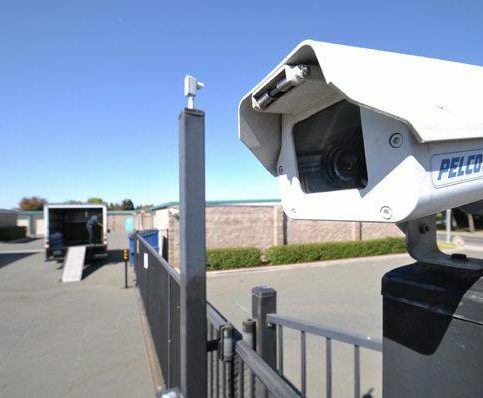 The locally-owned and operated company implements a variety of security measures that are designed to protect its units, including electronic gate systems, surveillance cameras and regular security patrols. 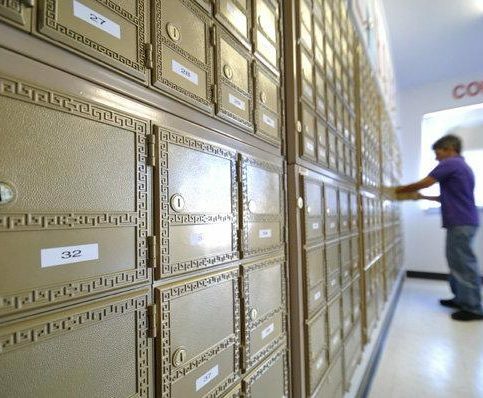 It also provides mailboxes, Notary Public services and more. Storage Master Self Storage is proud to be the first storage company in Sonoma County to be solar powered. 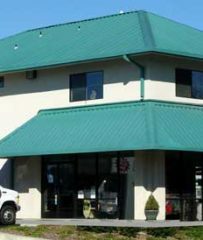 In addition to implementing environmentally-friendly business practices, the company is an advocate for community involvement and actively supports several Sonoma County schools, businesses, and organizations. 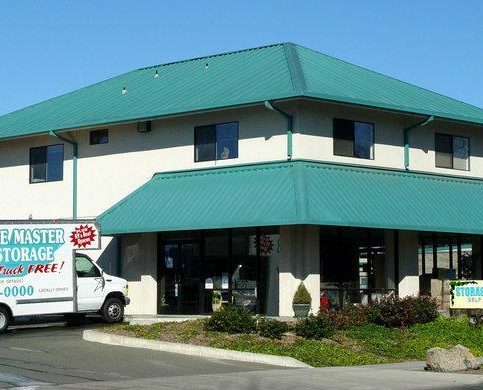 Storage Master Self Storage has been offering year-round access to thousands of storage units at its Santa Rosa facility since 2000. 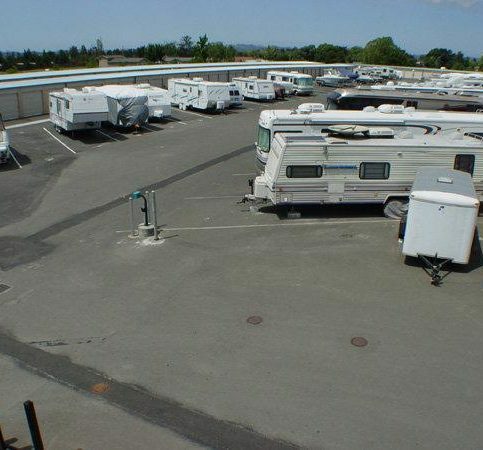 The company implements various security measures that are designed to protect its units, including surveillance cameras, electronic gate systems and regular security patrols. If you plan to access your storage unit on a regular basis, make sure you pack it so you can remove individual boxes without having to pull things out and shuffle through them. The best method is to leave an aisle way between the stacks that’s wide enough to accommodate the biggest box you have. Stack boxes from heaviest at the bottom to lightest at the top. This may seem obvious, but it’s an important detail to remember, as the bottom boxes will help support the load of the whole stack. Make sure all boxes are well-sealed—this will ensure their structural integrity and their protection against the elements over time. Plastic tubs are good because they offer both adequate sealing and sturdiness. If you use cardboard boxes, use plenty of tape to reinforce them. Don’t assume that folding them is good enough, and never leave them open at the top. Pack as tightly as possible—it’ll help mitigate the effects of air and moisture, keep insects and other pests out, and give structural support to the collective of individual box stacks. 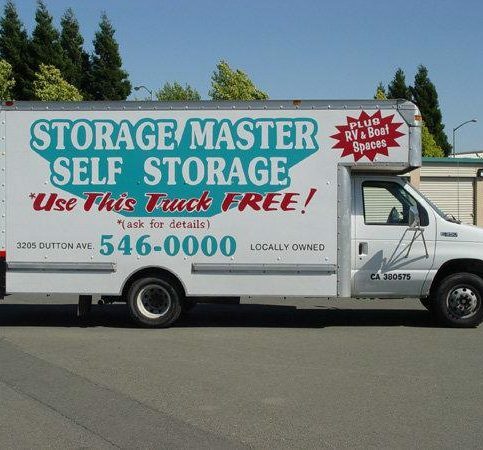 Q: How big should my storage unit be? A: Once we know how much material you’re planning to store, we’ll be able to figure out the amount of space you need and help you choose the right unit. Choosing the right unit also depends on how much space you want to have inside. Do you want to pack it to the gills or do you need to make an aisle way for recurrent access? Q: How do I access my unit? A: As soon as you sign up, we’ll give you a gate code card that tells you how to access the premises. Basically, you just enter your unit number, which turns off the security alarm for your individual unit and opens the gate. Q: Can I let somebody else access my unit? A: Yes, as long as you feel comfortable giving them the code and key. However, we’re very straightforward in telling our customers that they’re responsible for anyone who accesses their units. Of course, we’ll never open a unit for someone who doesn’t have a key. Q: Is your facility secure? A: Absolutely. We have about 40 security cameras, every door is equipped with its own alarm and our yard personnel are visible at all times. Q: Do you have storage boxes available at your facility? A: Yes, and all our storage boxes are commercial-grade. We actually work with a box manufacturer that makes boxes for all the major moving companies, so we always have a large supply. If you need more than what we have on hand, just give us a couple days and we can order them directly. Patty Frazzetta is a 16-year veteran of the storage industry and regional manager of Storage Master Self Storage, a Diamond Certified company since 2009. She can be reached at (707) 925-2974 or by email. Q: If you could transport yourself to any fictional universe, where would you go? A: Probably the “Star Wars” universe. Ted and I are big fans. A: Winter—I like the rain. A: Costumes that I make myself and ceramic fairy sculptures. A: A pirate girl costume. • Make sure the facility perimeter is enclosed by a tall gate. This is the first line of defense against burglars. • Ask what kind of surveillance system the facility uses. Are cameras hidden or in plain sight? Ideally, cameras should be in plain sight, as their mere presence can deter burglars. Also, ask what measures are taken to ensure the cameras are functioning properly. • Ask if the units are individually alarmed (this is ideal). • Ask if the units come with locks. If so, are they high-quality locks? If not, do the units have large, stout hasps for you to attach your own lock? • Ask what security clearance measures are in place. Is an employee present at all times? Is identification required for entry? 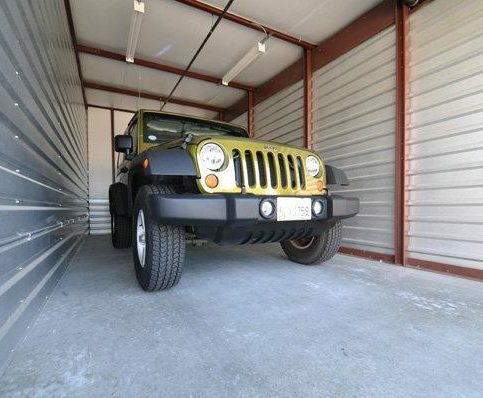 By assessing these crucial points, you’ll be able to choose a storage facility that offers maximum protection for your valuables. SANTA ROSA — Host, Sarah Rutan: When choosing a storage facility, it’s important to assess the level of security it provides. To learn more, we’re in Santa Rosa with Ted Shurleff of Storage Master Self Storage, speaking on behalf of Diamond Certified Expert Contributor Patty Frazzetta. Ted Shurtleff: When one looks at storage, what are you really looking for? Are you looking for presentation? Or are you looking to keep your stuff safe? Well, one of the biggest things, especially in the urban environment, is whether it is secure. And the things that you want to look for in security, the obvious, is it in an enclosed area? Does it have gates? does it have a gate code where it turns your burglar alarm off for just your unit? Your unit really should be individually alarmed, if at all possible. Do they have nice, stout hasps for your locks to go onto? One of the things you also want to look for are their cameras. Are they hidden cameras? Or are they blatant? Are they in big cans where people can see them? And the big, armored ones really are a visual deterrent? Are they kept up to date? Do they work? What are the securities if someone comes in asking for information? Do they check ID? Do they go through the process of making sure that, when you rent your unit, is it currently valid, up to date, not expired? How people treat your information is how people are going to treat your stuff. Storage Master Self Storage : Average 9.0 out of 10 based on 350 unique customer surveys of customer satisfaction. I have used them a few times. It feels safe and secure. I don't have to worry about my products. The staff are very professional and very nice. They are easy to talk to. Whenever I call, they are very nice to me. It is very clean and easy access. The price is very reasonable. I commute one hour to that storage, because of all of those qualities, and it is worth it. The people, the professionalism, and the clean facility, I would rate them very high. I would compare them to storage units in the Napa Valley, which are superior and why I commute each way to this facility. They have earned this. I have shopped around in Santa Rosa, even over the phone, and they were the most professional. This is why I have used them twice in one year. They are very professional, clean, and they have great customer service. Their service, they are very helpful. I probably would just say they are fine. They have good security, and you are in good hands. They have up-to-date technology. It is a clean facility and has easy access. If you have any problems with your unit, the office is right there, and they will take care of you right away. They have a good price. They are clean and organized. Everything is pretty much pristine. I like the people, because they are nice and willing to work with you. If they know I am up against it financially, they will offer me a cheaper unit. If there is something else, they will let you know and give you an option. They have been very good to me. It was our first time using it, and I have to say that it helped a lot at that time. It was quick and convenient. For us, it worked well. The service was great. We didn't have any issues. It was just a great service. I highly recommend them, because the couple who owns the place are super friendly and helpful. They have always been great to me since I have been there. They make accommodations. Just how secure they are, they are on top of things. It is super clean, and the people there are super friendly. They are clean, pleasant, and helpful. I would definitely recommend them. They are very good. They are clean and on top of things. I know what to expect, and they are very clean. I was able to pay the whole year in advance. They are very businesslike, and they have a great contract, so you know what the deal is. It is very clear. Your things are very safe. There is someone on the premises. They have areas that are kept cool, even during hot summers in Santa Rosa. The people are really nice, and I like them. It is really clean, and when someone moves out, they sweep it all out and clean it. I can pay my bill easily over the phone. It is good and clean. There are no rats or bugs. It is clean and organized. It is run very well, good prices, and it is a very clean place. A really good price, and it is in a good place. Everything is well run. They're friendly. They have the best prices in town. They're very secure and safe.